As sad as I was to give up mashed potatoes once going paleo, I was equally overjoyed when I realized how similar cauliflower was. 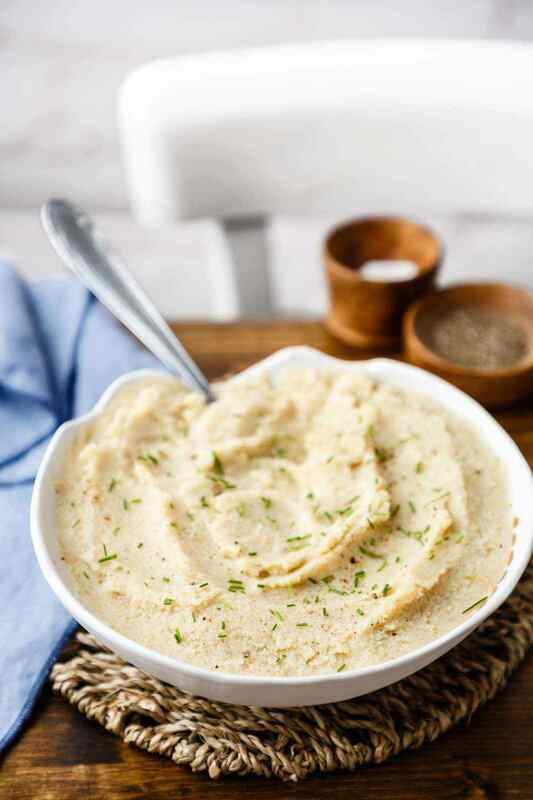 By blending it together with the other ingredients in this recipe, it provides a texture that perfectly matches classic mashed potatoes. The major differences are that cauliflower is incredibly low carb while also being rich in phytochemicals and antioxidants that help to protect your health. 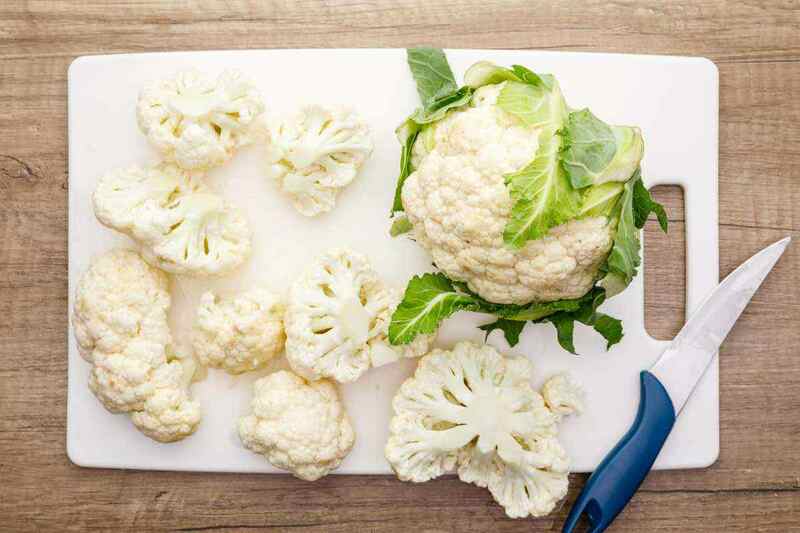 (1) Cauliflower is really good for you in general, helping to fight off inflammation in your body and providing you with plenty of vitamins and minerals. And when it’s used to make ‘mashed potatoes’ like this? It’s oh so tasty. The other ingredients used play a large role in providing this meal with all of the flavor so I definitely have to give them a bit of credit as well. 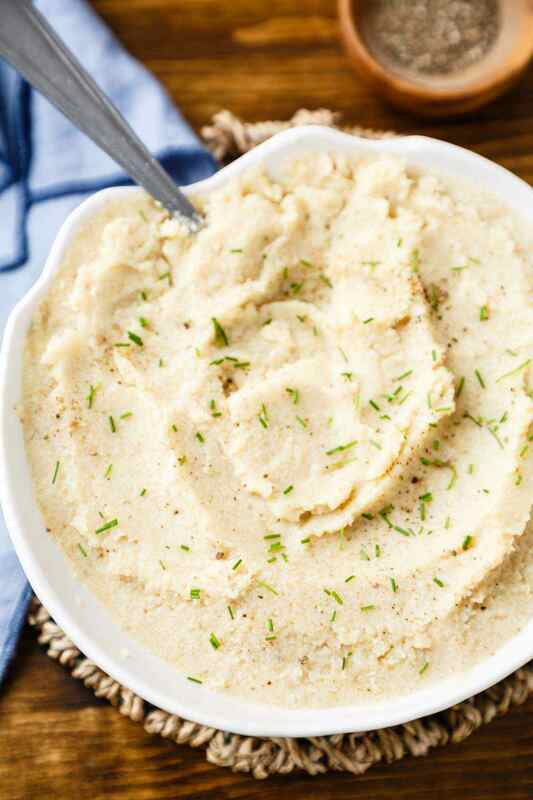 If you’ve ever had mashed potatoes with garlic in them, then you know how tasty and addicting they can be. 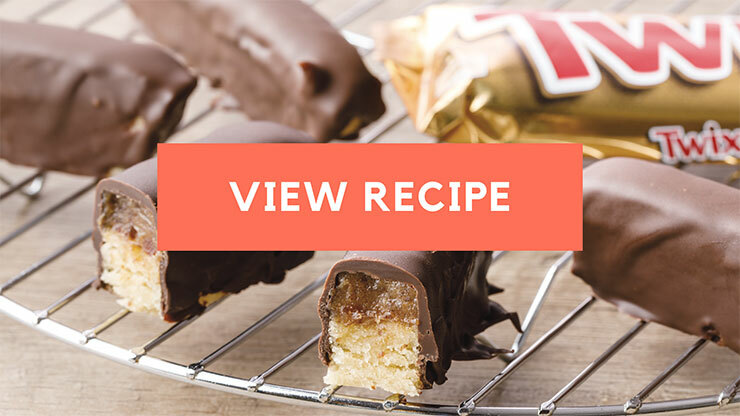 I’m happy to report that they have the same effect on this recipe. Almond milk and ghee are added in to complete the mashed texture while also providing plenty of health benefits in their own right thanks to all of the vitamins and minerals they contain. It’s definitely worth mentioning that cauliflower doesn’t just make one mean mashed potato replacement. There’s so many different ways that I’ve found to use cauliflower in all kinds of paleo recipes. 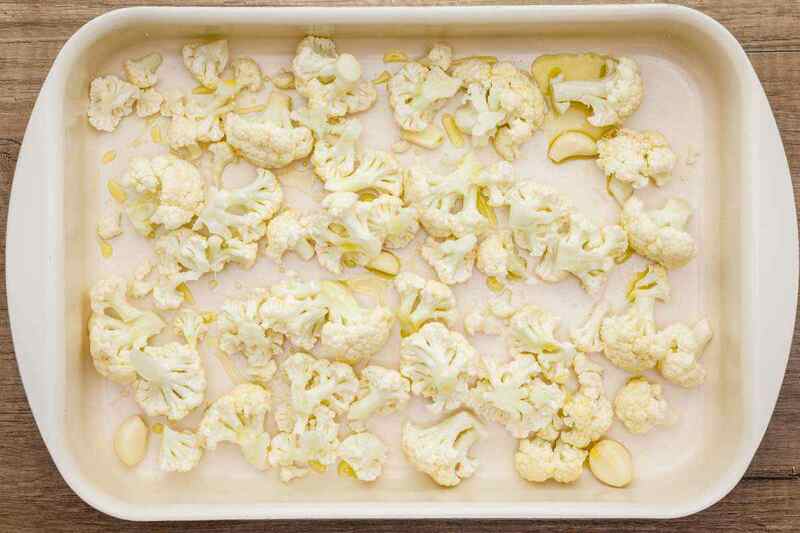 Did you know that processed cauliflower florets also make an excellent alternative to rice? They’re also excellent in casseroles and can even be used to make an awesome low carb pizza crust. 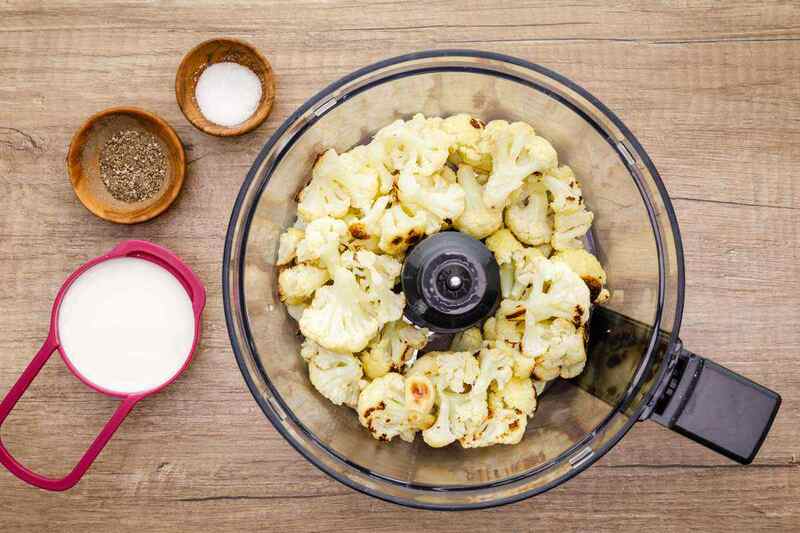 If you’re worried about giving up your favorite foods on a paleo diet, you’d be surprised at how easily healthy alternatives like cauliflower can be swapped in. Thanks to cauliflower, I’m still able to sit down and enjoy a classic comfort food from my childhood. ‘Mashed potatoes’ and meat was such a staple growing up that it would be a shame to not be able to enjoy it anymore, especially with the winter months approaching and the weather getting colder. It’s the perfect time to sit down and enjoy a warm comforting meal like this.